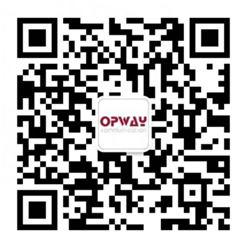 Shenzhen OPWAY Communication Co., Ltd is a holding company of Tongyu Communication Inc.(Stock code:002792), OPWAY was established in 2010 with a registered capital of 31 million USD＄. In 2014, the company was awarded as a National High-Tech Enterprise. OPWAY specializes in the development, production and sales of optical communications products. The exsiting staff is over 300 , we gathered a large number of the senior talents, our products have obtained over 20 patents of invention and utilities. With the high attention of the optical communication industry and years of rich experience, OPWAY can provide full range of optical transceiver products and solutions, the products are widely used in the MAN, LAN, Fiber Channel network,Data Center, FTTx and other fields. Our customers are covered in domestic China , Western Europe, North America, southeast Asia, the commonwealth of independent states (cis), Africa,Middle East, South America and other overseas areas. The company insists on surviving on quality. We have the world-class production and testing equipments from Japan, the United States and other places. We have more than 4000 square meters of 100K class clean plant in shenzhen headquarter and wuhan R&D and production base. The company strictly checks all aspects of production to ensure the performance and quality of the products to reach the international first-class standard.We have passed ISO9001, OHSAS 18001, ISO14001 and other product certifications including CE, FCC, ROHS, TUV and FDA.Our main products include 100G CFP/CFP2/CFP4/ QSFP28 series, 40G QSFP+ series, 25G SFP28 series,10G SFP+/XFP/X2/XENPAK series, 1G SFP/1*9 series optical transcivers and AOC/DAC products.